Two conditions are essential for the formation of Vavilov’s centres of origin (diversity) of cultivated plants (Vavilov, 1987): the existence of plants suitable for introducing into cultivation in the local plant resources, and the presence of an age-old agricultural civilization. Both of these conditions are found for lupin in the Mediterranean region of Europe and on the American continent (territory of the modern Peru). Lupins were domesticated in both these places. The history of lupin domestication embraces more than four thousand years. 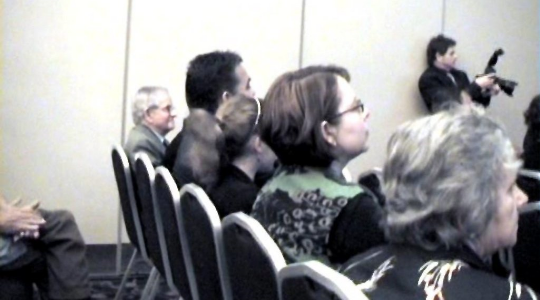 Although lupin development processes in the Mediterranean and American centres went separately, they were similar enough. The earliest archaeological reports on lupins are referred to the XII dynasty of Egyptian Pharaohs (over 2 thousand years BC). In their tombs, seeds of Lupinus digitatus Forsk., already domesticated in those times, were discovered. Several empty pod valves and seven seeds of this species were also retrieved in the tombs of this dynasty which date back to the 22nd century BC (Zhukovsky, 1929). Andean pearl lupin (L. mutabilis Sweet.) was domesticated in American by ancient inhabitants of the territory of the present-day Peru. The imprints of its leaves and seeds on the rock stored in the national museum of Lima testify to the ancient origin of this species. This rock dates back to the pre-Inca culture which existed in the 6th – 7th centuries BC ( Maissurjan and Atabiekova, 1974). - Primary domestication of white lupin in Ancient Greece and Egypt (earlier than 2000 BC) with the purpose of producing grain which was used after soaking as food for man and feed for animals, and also utilized in cosmetics and medicine. - Beginning of the utilization of white lupin as green manure in Ancient Rome and, subsequently, in other Mediterranean countries (about 800‒1000 BC). - Primary domestication of Andean pearl lupin ”Tarwi” on the American continent (600‒700 BC). - Beginning of domestication of yellow and narrow-leafed lupins for green manure production in Mediterranean countries and afterwards in Germany. - Obtaining of the first low-alkaloid (sweet) forms of lupins in Germany (1927‒1930) and in Russia (1929‒1932). The method of their production was for the first time published in Russia with Vavilov's foreword (Ivanov et al., 1932). After this discovery, lupin acquired the status of a fodder crop. - Domestication of new lupin species in Australia, Russia, Finland and other countries (L. cosentini Guss, L. atlanticus Gladstones, L. polyphyllus Lindl. etc.). - The modern stage of lupin cultivation, when lupin received the status of an alternative to soybean in world agriculture as a source of protein and another useful substances. Lupin resources will be utilized in many branches of the world economy. Unfortunately, the area of lupin cultivation in the world has recently started to diminish. The start of lupin cultivation history in the Old World is most often connected with the times of Ancient Egyptian culture (Zhukovsky, 1929; Maissurjan and Atabiekova, 1974; Taranukho, 1980). It is more likely, however, (Kurlovich et al., 1995) that white lupin was initially domesticated in Ancient Greece where its greatest diversity is concentrated and its wild subspecies (ssp. graecus) has survived until the present. Besides, it is on the Balkan Peninsula that feral representatives of other white lupin subspecies (ssp. termis and ssp. albus) occur in natural environments. Moreover, the Greek origin of cultivated lupin is attested to by its Grecian name “termis” which means “hot”. Even now in many countries of the world steeped or boiled seeds of lupin are sold at the markets and offered in the bars as a dainty (similarly to sunflower seed). In Ancient Greece, lupin was obviously utilized likewise. Ancient Greeks must have selected from the wild lupin diversity in the Balkans the forms with large white seed and light-coloured flowers and introduced them into cultivation in the same manner as they did with other plants (paying attention mostly to the same traits). Considering all the above-mentioned, the Balkan Peninsula may be regarded as the primary centre of origin for domesticated white lupin. Lupin in cultivation is mentioned by the Greek scientist Hippocrates (460‒364 BC), who points out that lupin pods are less harmful than those of chickpea and surpass other legumes in their warming and nutritive effect, while lupin flour makes a face beautiful (Bd. VIII, p. 369). Reading Theophrastus, who lived in the fourth century before Christ, one can find instructions about lupin cultivation on sandy soils (Zhukovsky, 1929). Theophrasus also mentions certain wildness of lupin, because of which it does not require handling. From the descriptions made by Theophrastus it is clear that the lupins cultivated in Ancient Greece belonged to L. albus. This author’s detailed characterization of plant morphology and cultivation techniques attest to the fact that even in those times white lupin was extensively cultivated in Greece. From the Balkans white lupin gradually came to the neighbouring countries, such as Egypt and Roman Empire. It is interesting that in Egypt prevailing were lupin forms with pink-blue or light pink flowers, attributed by many earlier authors to a separate independent species (L. termis), and in recent years also the forms with sheer white or grey-blue colour of the corolla (ssp. albus). The main purpose of lupin cultivation in Egypt were seed production. Boiled seed were widely used by Egyptians for food. There is no information about the use of lupin in Ancient Egypt for animal food or as green manure (Maissurjan and Atabiekova, 1974). In Egypt, no depictions of lupin have been found on historical monuments. In view of this, it is possible to presume that lupin cultivated started in Egypt not earlier than 330 BC and that the Egyptians adopted this plant already in its cultivated form from the Greek (Gladstones, 1974). A complete and comprehensive concept of lupin as a widely utilized crop in Ancient Rome was summarized in the publication by P.M. Zhukovsky (1929) who cited the evidence of numerous authors of the ancient world. Pliny the Elder (23‒79 BC) wrote about lupin (vol. XVIII, 133): “it is used by man and by hoofed quadrupeds. The remedy to prevent its grains from falling and getting lost while harvesting is to harvest it after rainfall. This is the plant which would miraculously conform to the earth. First of all, it rotates daily with the sun and shows hours to the tiller even under a cloudy sky. Then, it sprouts three times and does not want to be covered with earth. It is the only one to be sown without tillage. Lupin favours stony places, dry and even sandy. It does not need to be tended at all. Abandoned among shrubs, amidst leaves and thorny branches, it would still reach the ground with its root. Cornfields and vineyards gain fertility when it is sown. It has so little need for manure that it serves instead of manure of the best quality. It is the only plant demanding neither costs nor labour, even when sown: lupin seed are planted directly from the floor. It is the first to be sown and last to be harvested: approximate time for both is September... In fact, it can be simply left lying... bitterness of seed protects it from all animals. Still some ploughing is usually done... Macerated in hot water, it is used for food by man as well. A modius a day make the ox well-fed and strong. Sometimes lupin is put on the stomach of a child”. The famous Marcus Terentius Varro who lived 1100 years before Christ, informs that “ploughed into meagre soil, instead of manure, is lupin while it is yet without pods, but sometimes even its stems with seedpods”. Galenus (AD 129‒199) wrote about numerous uses of lupin, especially the leaching of its seed with fresh water for food purposes. Dioscorides (AD 50) in his 20th book recommends lupin as a remedy against abscesses and birthmarks as well as against the scabies of sheep. To stimulate appetite, he suggests that leached seed should be sweetened, milled into flour and mixed with several drops of vinegar. Columella places lupin above all leguminous plants. He recommends it as the best fertilizer “for depleted vineyards and fields, for exhausted soils”. “Macerated and boiled, it provides good winter feed for oxen”. Thus, the use of lupins as green manure and generally their wide utilization in agriculture presumably started in the times of Ancient Rome, when a new stage of lupin cultivation had begun. The Romans, like the Greek, were well aware of the medicinal and pharmaceutical importance of lupin. For medical purposes, not only seeds were used, but also the water left after their wetting. Pliny mentions sixteen applications of lupin in medicine. It was also used as a tool to protect fruit trees from diseases. From Greece, later from Egypt and from Ancient Rome, lupin dispersed all over the Mediterranean. In literature there are crumbs of information about the well-developed culture of lupin in the ancient and medieval Italy, France, Spain, Portugal, Algeria, Tunisia, Sudan, Israel and Turkey (Gladstones, 1974; Maissurjan and Atabiekova, 1974; Swęcicki, 1988). Concurrently with white lupin, yellow, narrow-leafed and other species of this crop started to be cultivated as sources of green manure and as ornamental plants, acquiring most high-yielding and beautiful forms among wild plants. Domesticated lupin spread from the Mediterranean area to other countries included in the so-called spheres of influence (Sinskaja, 1969). To these spheres of influencing she attributed, first of all, Central and Northern Europe, as well also Asia and Africa. In 1927, N.I. Vavilov collected white lupin at the river-head of the Blue Nile in Abyssinia, where lupin had most likely arrived from Egypt. From Greece and Turkey white lupin penetrated northwards and eastwards, and reached Western Georgia, where the culture of white lupin has survived until recent times after many ages of cultivation under the local name of “hanchcoly”, which in Georgian means “a bitter bean” (Libkind, 1931; Maissurjan and Atabiekova, 1974; Kurlovich, 1996). 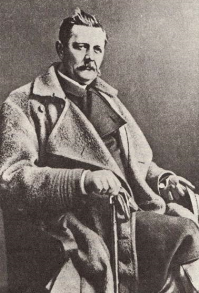 In Palestine, Vavilov identified very early, thermally neutral and small-seeded forms of the Jordanian ecotype. In particular, the sample Tel Karam k-290 has a growth period in Ukraine of only 105 days. In contrast, lupin accessions from Sudan are very late, but highly productive and large-seeded (k-486, k-495). Samples of the Jordanian ecotype from Palestine have special value as source material for lupins bred for Russian, Polish and Ukrainian environmental conditions. Their use in hybridization with lines of the Georgian ecotype, following mutagenesis, allowed V.I. Golovchenko to create early and highly productive cultivars, ‘Kievsky mutant’, ‘Horizont’ and ‘Druzhba’ for Russia and the Ukraine (Golovchenko et al. 1984). The parallel history of Lupinus mutabilis in the Andean highlands of South America is documented to a lesser degree. Zhukovsky (1929), Hondelmann (1984), Gladstones (1998) cited archaeological evidence of its cultivation in the 6th or 7th century BC, while in the Nazca (AD 100-800) and subsequent civilizations L. mutabilis formed a regular part of the crop rotation. Brücher (1968) notified that the Indians had removed bitter taste of seeds by washing them. It was impossible to remove alkaloids completely, and poisoning sometimes still occurred. The appearance of the Spanish and Portuguese conquistadors in the 16th century started a gradual decline in native Andean agriculture. The new society ignored lupins, and their cultivation became restricted to marginal subsistence agriculture in a few sites on very high altitudes. The interest toward lupin has been revived only in the last decade or two (Gladstones, 1998). The scraps of information about lupin, at first as a medicinal plant, date back to the Middle Ages, like in Central European countries. However, special agronomic literature on lupin in Central Europe came forth later. The agricultural history of bitter lupins in northern Europe began in 1781. The first impetus came from King Frederick II (Frederick the Great) of Prussia, who personally sent for seed of white lupin from Italy with a view to use it for improving the poor soils of northern Germany (Maissurjan and Atabiekova, 1974; Hondelmann 1984, 1996, Brummund and Swiecicki, 2011). But this attempt, as well as later northern European efforts with L. albus, for the most part failed, because the soils were too poor for it and the available genotypes were too late-maturing in the region's short summer growing season. In this respect, the idea has appeared to use earlier ripening lupins: yellow lupin (L. luteus) and narrow-leafed lupin (L. angustifolius). Previously, these species had already been effectively used as green manure in Morocco, Portugal and other Mediterranean countries (Klinkowski, 1938). Then, in 1841 a farmer named Borchard tried growing the garden yellow lupin, L. luteus. This was much more successful, and despite the continuing official support of L. albus, the cultivation of L. luteus and L. angustifolius by 1860 had become an essential part of agriculture all over the acid sandy soils of the Baltic coastal plain (Hondelmann 1984; Gladstones, 1998). These species showed extremely high effectiveness as green manure crops, as witnessed by the experience of Dr Albert Schutz of Lupitz in Germany (known as Schutz-Lupitz). On poor sandy soil in his estate, with the help of lupin he managed in 10-12 years to double the yield of potatoes and rye, and to pass over to wheat on the best sites. The results are widely known. 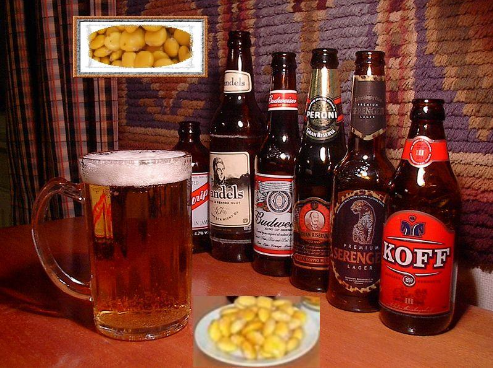 Owing to him, yellow and narrow-leafed lupins began to be cultivated on a wide scale in many countries with the purpose of increasing fertility of poor sandy soils (Maissurjan and Atabiekova, 1974; Brummund and Swiecicki, 2011). Besides, the experience of Schutz-Lupitz served as a catalyst to the discovery of the phenomenon of lupin nitrogen-fixing ability, as a result of which his practice has also obtained theoretical explanation. In the middle of the 19th century, lupin spread from Germany to Poland where there was abundance of mild sandy soils requiring reclamation. Cultivated at that time were bitter-tasted populations of yellow and narrow-leafed lupin, which were ploughed down as green manure, or used, despite their bitter taste, as a feed for sheep. After the initial expansion of lupin cultivation, its temporary decrease, especially in seed production, occurred at the end of the 19th century, probably due to frequent poisoning of animals with alkaloids (Kubok, 1988). During World War I, lupin cultivation began to grow continuously owing to the necessity of widening food production areas to light soils, with simultaneous decrease of mineral fertilizer production. At that time, lupin breeding activities were started in Poland (Brummund and Swecicki,2011). In Russia, the first mention of lupin as an ornamental plant appeared in 1811 in the papers of the Free Economical Society. Utilization of lupin for green manure came to Russia from Poland when it had been divided into three parts (1772, 1793, 1795) and partially incorporated in the Russian empire. The area under lupin in the European part of the Soviet Union by 1935 reached 100 thousand hectares (Maissurjan and Atabiekova, 1974). 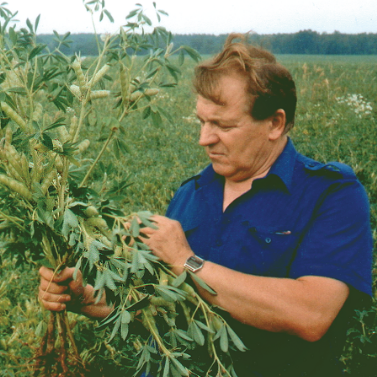 In the former USSR, the first breeding program of releasing fodder lupin cultivars was launched by Fedotov, Sharapov and other scientists of VIR, by Bozenova of Novozybkov Experimental Station in Bryansk province, and by Swirski of Minsk Experimental Station. Successful work with different species of lupin was organized in the following years at Chernigov and Polessk Experimental Stations in the Ukraine, at Moscow Agricultural Academy, Byelorussian Agricultural Academy, Byelorussian Institute of Agriculture, Byelorussian State University, Grodno Experimental Station, Ukrainian Institute of Agriculture, Institute of Agriculture of the Central Non-Black-Soil Zone, etc. As a result of these works, the area under lupin in the former USSR by 1959 had reached 1132 thousand hectares (Maissurjan and Atabiekova, 1974). 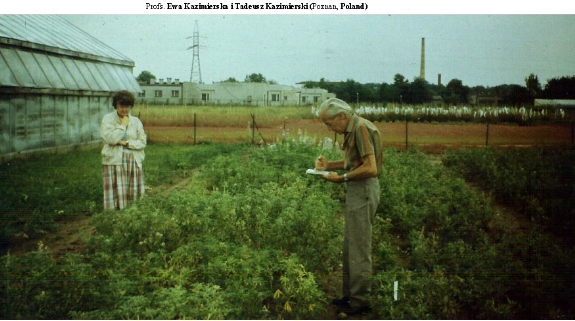 Particular progress in yellow lupin breeding was attained in postwar years by K. Savichev (Novozybkov Experimental Station) and G. Taranukho (Byelorussian Agricultural Academy). Savichev’s cv. Bystrorastushchy 4 in due time was cultivated in 30 provinces of the former USSR. Later, Prof. Taranukho released an ultra-early cultivar, Academichesky 1, that is still recognized as the reference point of new breeding achievements. Breeder V. Valovnenko was the first in the world to discover the form of yellow lupin with determinate branching. 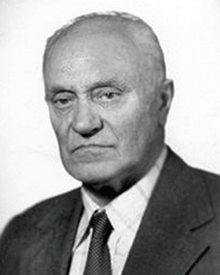 He was the author of a series of cultivars with this valuable character (Zhitomir anniversary, Iskorost, etc.). It is for a long time already that the breeding of narrow-leafed and white lupins is conducted in Moscow Agricultural Academy. Super-early cultivars of narrow-leafed lupin were created there: Northern-3 (by Majsurian), Timir-1 (by N. Pukhalskaja), Ladny (by N. Klochko). Prof. G. Gataulina in cooperation with other research institutions bred ultra-early fodder cultivars of white lupin (Start, Manovitsky, etc). Great progress was made by the Ukrainian Institute of Agriculture (V.Golovchenko, O. Golovchenko, N. Solodyk and other breeders) in white lupin breeding. Cvs. Kievsky mutant, Primorsky, Gorizont, Ukrainsky, Dnieper etc. were produced by the method of hybridization and induced mutagenesis with the use of accessions of the Georgian ecotype and Palestinian geotype. The Institute of Agriculture of the Central Non-Black-Soil Zone released a series of fodder cultivars of narrow-leafed lupin, among which cv. 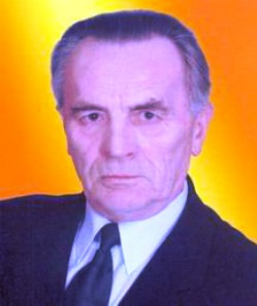 Hemchinovcky 846 (authors: G.Debely, V. Fedotov and L. Kalinina) became the most widely known. 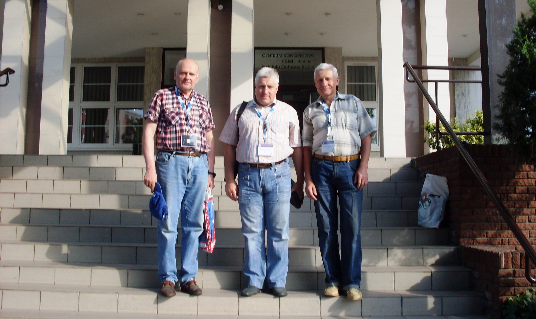 Fusarium resistant cultivars of yellow lupin (Kastrychnik, Narochansky, Zhodinsky) were created by Dr. M. Lukashevich, breeder of the Byelorussian Institute of agriculture, while cultivars of narrow-leafed lupin (Gelena, Selena, etc.) by the breeder N. Kuptsov. With the purpose of complex research on lupin-related problems, the specialized All-Russian Institute of Lupin was founded in 1987 in Russia (near Bryansk). It has undertaken large-scale work on breeding, seed production, cultivation technology and utilization of lupin. In 1960’s-70’s, lupin was cultivated for grain in ex-USSR on the area of about 600 thousand hectares, and the areas under this crop for green forage and green manure approached 2 million hectares (Takunov, 1993). In the present-day Russia, a specialized research centre, the Institute of Lupin, functions at Bryansk, releasing new cultivars and cultivation technologies. Lupins in Australia. In the mid-19th century, many species of lupin were introduced into Australia by the well-known botanists Ferdinand Von Mueller (in Victoria) and Richard Schomburgk (in South Australia). By the turn of the century, State Departments of Agriculture were promoting their utilization for fodder and green manure production, as the knowledge of the usefulness of leguminous crops had been discovered. Bacterial cultures were made available to farmers once scientists discovered that successful nodulation under Australian conditions was not generally possible without inoculation. 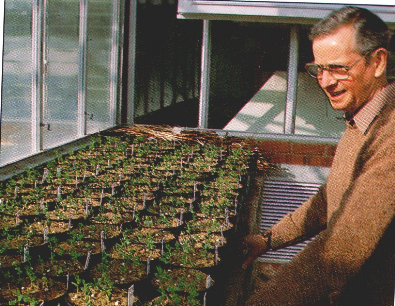 The modern history of lupin development in Australia is linked inexorably to the career of the West Australian plant breeder Dr John Gladstones. The area under fodder lupin in this country grew to exceed 1.0 million ha (Nelson, 1994). According to the data of Cox (1998), sweet lupin seed has been used as a feed since it was first produced within Australia. Initially the most favored application was its use as a sheep feed. Ongoing research investigating its nutritional value across a range of ruminant and monogastric livestock types resulted in significant expansion of its use as a feed to the point wherein sweet lupin seed is utilized in many intensive and non-intensive Australian livestock industries. Australian domestic usage of sweet lupin seed is estimated to be in excess of 350,000 t per annum. Unfortunately, the area of lupin cultivation in this Country also has recently started to diminish. The project on domestication of the rough-seeded lupins is als successfully realized in Australia (Buirchell, 1994). There are very few cultivated lupin species adapted to fine-textured and alkaline soils. Some rough-seeded lupin species grow naturally on these soils in the Mediterranean region. Breeding of rough-seeded lupins in Western Australia has resulted in the first filly domesticated species L. cosentinii and is close to domesticating L. atlanticus and L. pilosus. 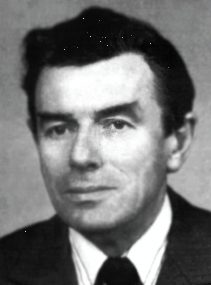 In 1970s J.S. Gladstones bred Errequella-S, the first cultivar of L. cosentinii, which is characterized by low alkaloids, early flowering and soft-seediness. Now this cultivar is widely cultivated in the coastal area of Western Australia. Besides, low-alkaloid and white-flowered forms were identified in L. atlanticus and L. pilosus, which are included in large-scale breeding programs. These two species have great potential for cutivation on fine-textured alkaline soils in southern Australia (Buirchell, 1994, Buirchell and Cowling, 1998). Methods and results of lupin breeding in Australia, e.g. the establishment of a very rich collection and a research team supporting breeding efforts, may constitute an excellent example for other countries. The work on breeding, development of cultivation technology, use and sale of lupins is most intensively developed in Chile, under the management of Erik von Baer. Chile has the fastest growing production of lupins in the world. Currently there is about 25,000 ha under cultivation (mainly locally bred L. albus ). Annual production is in the vicinity of 40,000 t. The realistic maximum potential for lupin production in Chile 100,000 ha with an average yield of 4t/ha (Baer E, 1989, 1994). We have begun researches of lupins in Finland in 1995 (Kurlovich et al., 2008, 2011). Results are presented also here.